Home ASD autism money PDA SALT SEN SEND Special Needs speech and language speech therapy Who's in charge of the money? Who's in charge of the money? So last night Sophie came in to me, having been woken up with nightmares. It reminded me of what she had said the last time we talked about nightmares - 'it was so dreamy it terrified me up!' were her exact words. At our last annual review of Sophie's Statement of Special Needs (ie the document which confirms what support she should be getting), Speech and Language Therapy basically walked away saying Sophie needed no support from them. I'd disagree, based on the type of language she uses and her pronunciation which is not clear. Sophie has a hidden disability (autism) but is more noticeable because of her speech. What would you say? Should she have support? Sophie's speech has never been on the same level as her peers; it was the most notable factor in her receiving a diagnosis in the first place. Speech and Language have been loosely involved with Sophie from that point up until a year ago. I use the term 'loosely' to show what my thoughts on what the service has been. Sophie was seen at most once every half term during school term (so obviously holidays were not covered) and for the most part, that involved an observation of her, followed by feedback to the overworked teaching staff who were tasked with carrying out the speech therapy. Whilst I agree that the training of school staff and the ongoing use of correct terms and ideas to try and improve Sophie's speech was good practice, I can't help feeling that more intensive time blocks of therapy would have helped her improve. We are currently having weekly sessions of OT (Occupational Therapy) for Sophie, and we see the improvements there already. 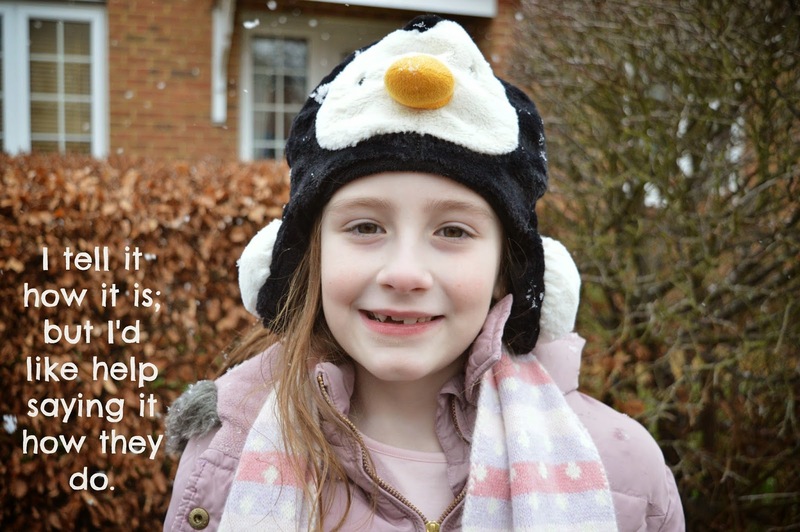 Based on the SALT's (Speech and Language Therapist) decision that therapy is not necessary, against ours that it is, it looks like we would have to pay privately to get Sophie this Speech and Language help. Is that fair? As a parent of a child with Special Needs, it is so frustrating that it all boils down to money. A lack of, in particular, but the poor mis-management of money also plays a huge part in the problems. Accountability is key, and with the new processes being put in place to improve situations for those with SEND (Special Educational Needs and Disabilities), I really hope there are enough (not extravagantly paid) people put in place to delve behind the screens and ensure that the money is put to best use where it is really needed. Should Katie pay or should the LA provide? We made a Nyan Cat outfit for Stampy!